The Day of Culture celebration. Lithuania. The Day of Culture was started to celebrate all Lithuania round on 14th of April by holding conferences in different cities. 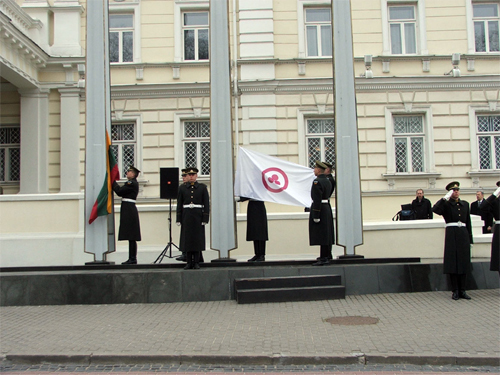 On 15th of April at 10 a.m. at a building of Ministry of Defense were holily hoisted a national flag of Lithuania and the Banner of Peace. The minister of defense Rasa Juknevichene, the minister of culture Remigijus Vilkajutis, ambassador of Day of Culture at Council of the Commission about the Culture of the Baltic cities Union Aukse Narvilene appeared with salutatory addresses. In honour of Day of Culture and a raising of banners the military parade was spent. On the 15th of April the international conference devoted to Day of Culture was passed in Vilnius, in a Hall of the Consistution of the Seym of Lilhuania. Visitors from Norway, Austria, Switzerland, Germany and India delivered reports about the importance of Culture, Roerich Pact and the Banner of Peace. 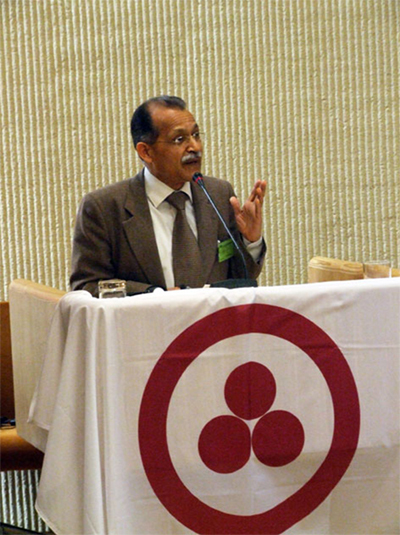 44 Banners of Peace were sewed, 40 of which were spread all over Lithuania (10 in Vilnius), 4 were presented – they were taken away by friends from Riga, Minsk, the ambassador of India in Lithuania and Poland Chandra Mohan Bhandari. In the evening the celebratory concert was given in St. Ekaterina's church. The Day of Culture celebration was passed in all regions of Lithuania. On 15th of April 15 at 10 a.m. at a building of Ministry of Defense were holily hoisted a national flag of Lithuania and the Banner of Peace. 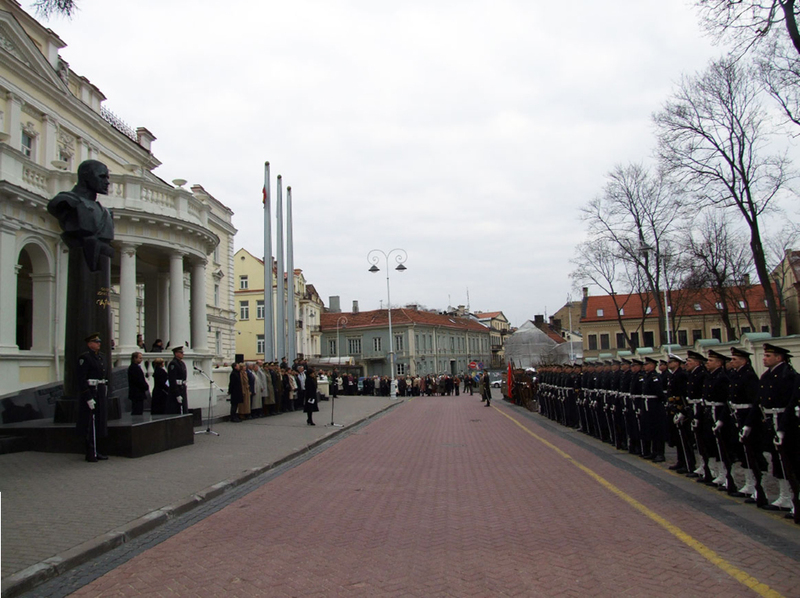 April 15, 2009.The military parade of Ministry of Defense of Lithuania. Addresses of minister of defense of Lithuania Rasa Juknevichene, minister of culture Remigijus Vilkajtis, ambassador of Day of Culture at Council of the Commission about the Culture of Baltic cities Union Aukse Narvilene. 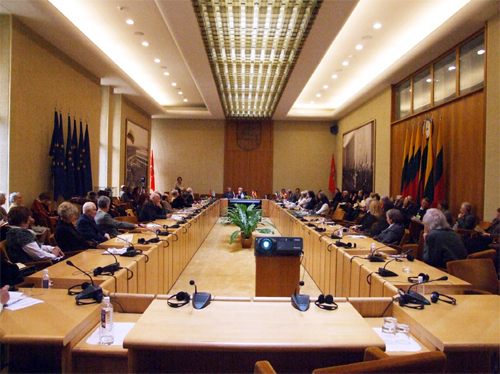 April 15, 2009.Address of ambassador of India in Lithuania and Poland Chandra Mokhan Bhandary at International Conference in the Seym of Lithuania. You also may to support the action for the Affirmation of 15th of April as the Universal Day of Culture under the Banner of Peace in order to it will begin to celebrate in your country officially.